Jonathan Phillips serves as a specialized assignment missionary with the Church of the Nazarene. He lives in the Transylvanian town of Sighisoara, Romania. Jonathan first came to Romania as a study abroad student during his sophomore year at Eastern Nazarene College. During this 6-month cultural immersion experience, he took academic classes covering Romanian language and culture, while also serving in local Nazarene ministries and living with a Romanian host family. After graduating from ENC in 2003 with a B.A. 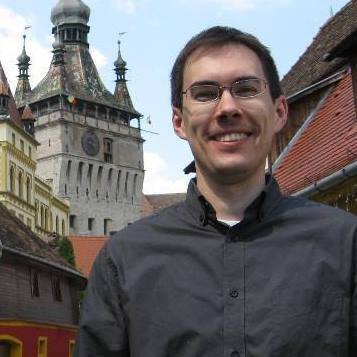 in Religion, Jonathan returned to Romania for a year as a Nazarene in Volunteer Service. During that year, he felt God leading him to Nazarene Theological Seminary to be better equipped for cross-cultural ministry. For the next 5 years, he lived in the Kansas City area, ministering in a variety of local church ministries while working in the Sunday School & Discipleship Ministries office at the Nazarene Global Ministry Center. Jonathan graduated in 2008 with a Master of Divinity with an emphasis in cross-cultural ministry. ​Since returning to Romania in 2009, Jonathan has been active in equipping Romanians for ministry. A priority has been the development of discipleship ministries in local churches. He is now the Romanian literature coordinator, which means overseeing the translation process of the Manual of the Church of the Nazarene and books in the “Power of One” and “Books for Pastors” projects. He also administers the Nazarene Child Sponsorship program in Romania, and has the opportunity to teach about once a year in European Nazarene College’s learning centers in Central Europe.